Sam Hern bought three Mercury outboard motors in 1947 and began building race boats in his backyard in Norwood, Ohio. As the first Mercury outboard dealer in Cincinnati, he expanded to family runabouts in the early 1950’s and moved to Seymour Ave, just across from the Cincinnati Gardens. In 1976, son Jack and good friend Jim Stewert purchased Hern Marine. 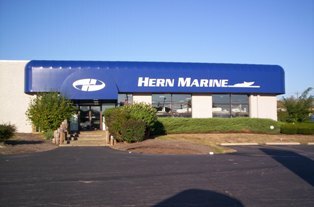 In 1979, Hern Marine moved to Fairfield, Ohio on Route 4 just off the new I-275 beltway. As the new century came in, so did two additional partners: Jimmy Stewert, son of Jim Stewert and long time employee Ron Cummins, Sales Manager. Jimmy and Ron have continued Hern’s commitment to the highest customer standards in the marine industry… Hern Marine the largest marine store in the mid-west. 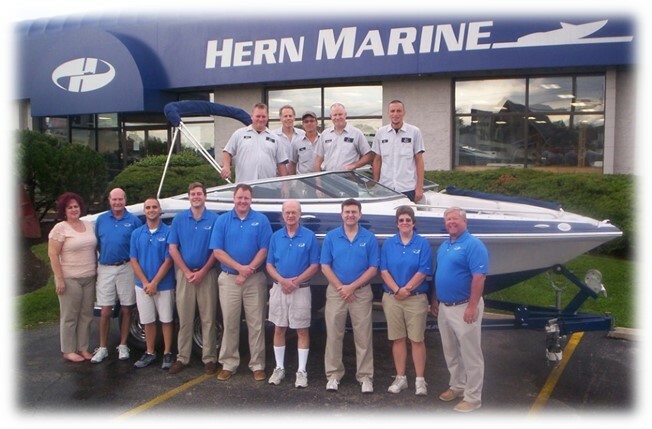 All of Hern Marine’s staff are boaters. We know boats and boating accessories! Our combined years of boating experience goes well over 400 years. That’s a lot of hours on the water. Stop by or call one of our friendly associates, we will be glad to help. Hern Marine continues to shop the market place for the finest in boats and marine accessories for their customers. Today we offer a full line of cruisers, runabouts, fishing boats, bass boats, pontoons and ski boats. We have the largest marine accessory and parts store in the tri-state. Stop by, we’re sure you’ll find what you need at the most competitive prices in the country. By the way if you like it you can take it home today! No need to wait for it to be shipped. If time is a factor, please check us out 24/7 at www.hernmarine.com.